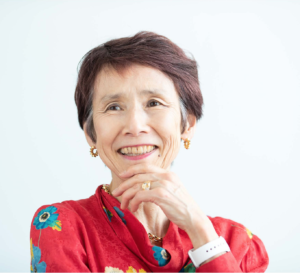 Professor Yoko Ishikura currently serves as an independent consultant in the area of global strategy, competitiveness and global talent. She is a member of the World Economic Forum’s Expert Network. She currently serves as a non-executive director of Shiseido Company, Limited and Nissin Foods Holdings. She has served as a non-executive director for Sojitz Corporation, Lifenet Insurance Co., Vodafone Holdings KK, Japan Post, Mitsui OSK Lines, and Fujitsu Corporation. Her former civic and professional activities include Executive Member of the Council for Science and Technology Policy, Vice President of the Science Council of Japan, Member of the Working Group on Growth under Council on Economic & Fiscal Policy, Vice Chair of Cluster Commission for METI, and Member of the Central Education Council in Japan. She was a representative of Japan for Partner Institute of Global Competitiveness Report and served as Member of the Final Jury, St. Gallen Wing of Excellence Student Competition. Professor Ishikura received a Bachelor of Arts from Sophia University in Tokyo, Japan, a Master of Business Administration from the University of Virginia, Darden School of Business (USA) and a Doctor of Business Administration from Harvard Business School (USA). She has been a frequent speaker and moderator at management conferences, seminars and workshops throughout the world. She also has run various workshops for international clients and recently for young global leaders including Global Agenda Seminar Series, Davos Experience in Tokyo, SINCA – Sharing Innovative & Creative Action and Leadership seminars in Japan. For contacting Yoko Ishikura for inquiries for seminar, writing, interview, business consulting, please follow this link.